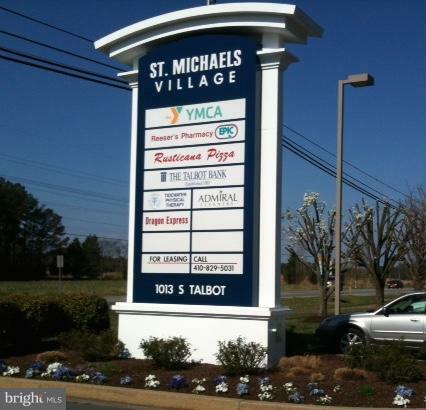 Flexible Lease space perfect for Medical, Retail, Health, Beauty or Office use in the Rio Vista neighborhood of St Michaels.Lease 1200 SF or More. Each bay is 1200 SF and there are currently 3 contiguous bays . High Traffic on Rt 33 (St Michaels Rd). Lots of Parking, Less than 1 mile from Elementary, Middle and High School. Great Visibilty for signage. All leases NNN.